We take pride in our RVs and mobile homes. Everything is kept organized and neat so you can be ready to hit the road whenever the mood strikes. But the roof tends to be out of site out of mind. 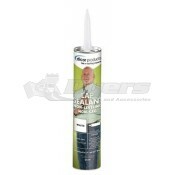 This is unfortunate because it essential that the roof is properly maintained.. Regularly cleaning, resealing and quality patchwork will ensure your roof lasts for years and years. 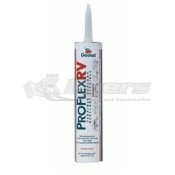 Dyersonline.com has everything you need to properly care for your RV roof no matter what kind of roof you have. 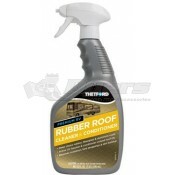 We carry a variety of cleaners that are tough on stains but gentle on your roofs surface. 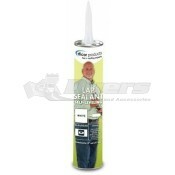 We carry a wide assortment of different sealants as well. 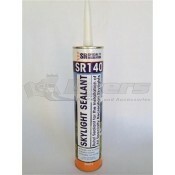 We carry sealants in most of the popular colors: black, white, almond or clear and most sealants can be painted as well. 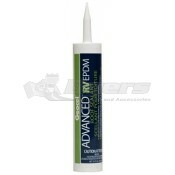 Another great tool for maintenance of an older roof is the Dicor RV Roof Renew kit. 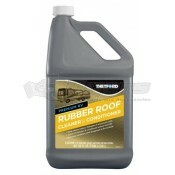 Get your roof looking like it was brand new. The kit comes with everything you need. 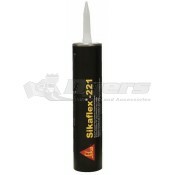 The kits contents will cover a 30 ft. unit. 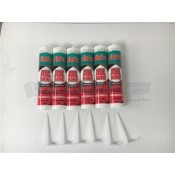 It comes with four 1 gallon pails of white acrylic roof coating, two quarts of primer and cleaner, a gallon of flashing grade coating, reinforcement mesh, a metal pan, paint rollers and covers, masking tape, a 3 inch paint brush and a very detailed set of instructions that even a novice could handle. By the time you are done you will not only significantly extend the life of your roof but also greatly improve the exterior appearance of your recreational vehicle. With regular maintenance and cleaning you can greatly extend the life of your roof, getting maybe 15 years of use out of it. Take as much pride in your roof as you do the rest of your home away from home. Check Dyersonline.com for everything you need.